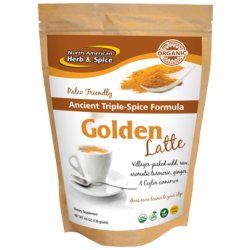 This special bundle/price includes one of each item listed below. 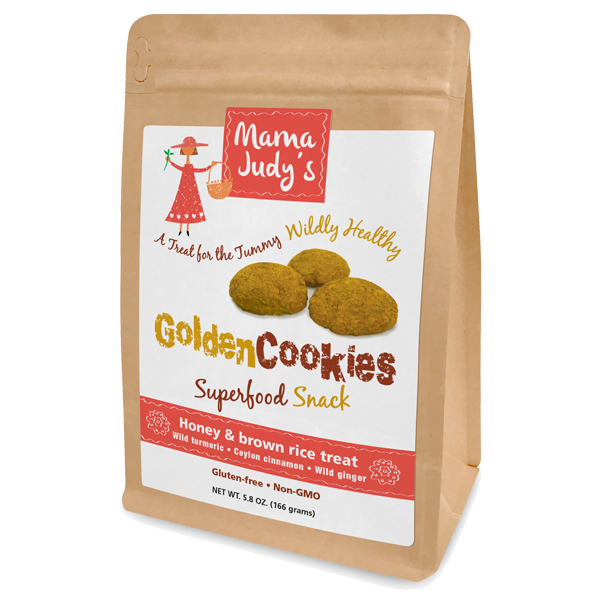 Healthy snacking never tasted so good! 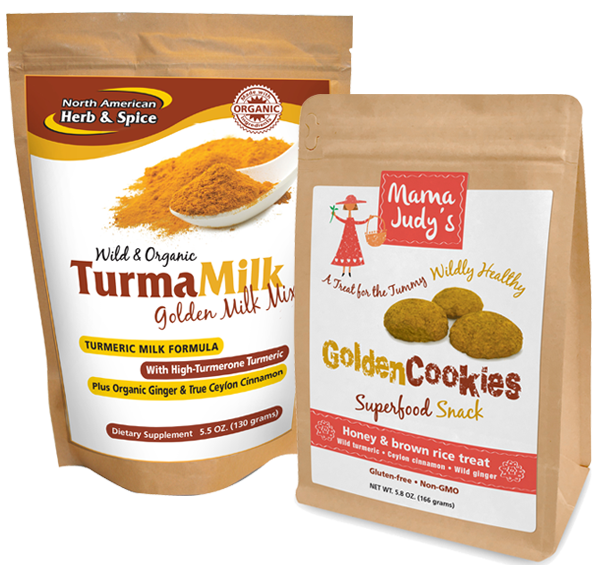 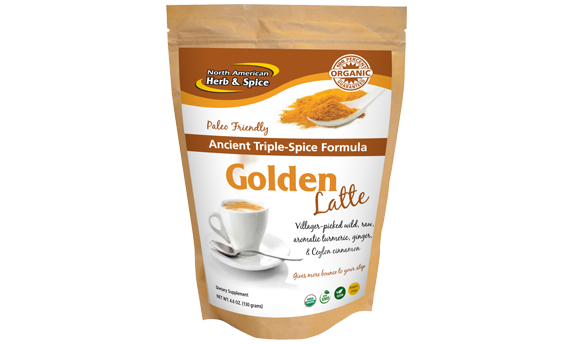 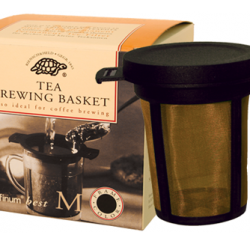 Last year, our friends at North American Herb & Spice gave us the delicious TurmaMilk Golden Milk Mix. 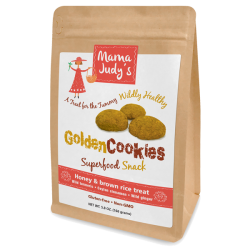 This year they have added Mama Judy’s Golden Cookies, a yummy ready-to-eat snack. 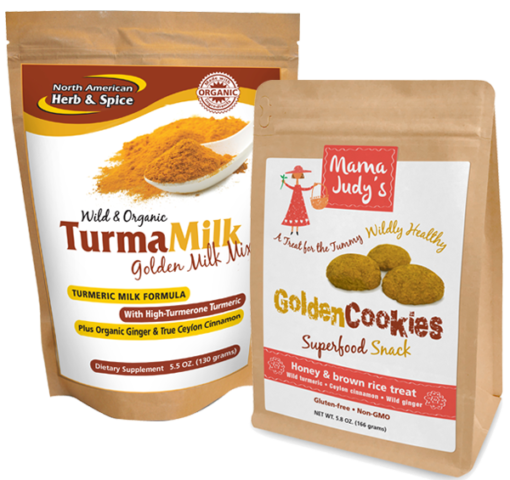 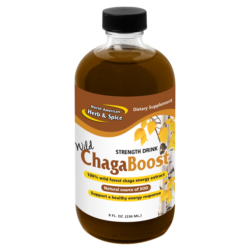 We have bundled them together as a healthy turmeric 1-2 punch that never tasted so good. 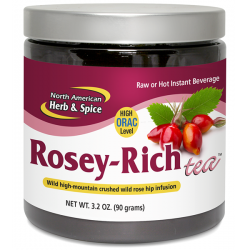 Enjoy the special discount while it lasts!